There's never a bad time to pull a prank on someone, right? Well, how about you consider setting up this prank during lunchtime? 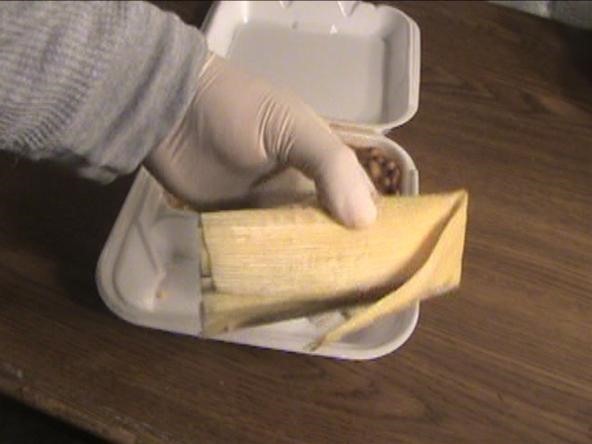 Next time you see a co-worker leave his/her takeout food unattended, that's when you'll strike. Follow the simple steps below and you'll be known as the master prankster at work. Once you have access to your co-workers takeout lunch, remove the main entrée (save it though, you don't want you co-worker to starve, right?). Make a few holes on the box where the food you removed used to be. Fill a balloon with water and place it on top of the area where the holes are. Tie a string to an opened safety pin. Tape the safety pin on to the water balloon, make sure it's pointing up. On the top half of the of the box, make a small hole (make sure it's not easy to spot). If you want, sprinkle some Kool-Aid on top of the balloon. Run the other end of the string that is attached to the safety pin through the hole you made and tie it. Close the box gently, make sure you did everything right. Place the box back in its place and get out of sight. If you followed the simple steps provided, then you should be well on your way to executing one evil prank. If you still need more assistance to understand how this prank is set up, refer to the video above. What set's off this prank? Good question! There is one key element... the safety pin! Since it's connected to the top of the box via the string, when the box is opened, it will yank on the string pulling on the safety pin... it will be a game of tug of war between the water balloon and the top of the box, with the box coming out victorious causing the balloon to pop, thus sabotaging at least 2/3 of your co-worker's meal. Let's not forget that the box has holes, so your co- worker will also have to deal with cleaning up the messy table and floor.